Two people have been killed and several people wounded in an explosion, likely a suicide bomb, outside the US embassy in Ankara. Two security guards were killed in a blast outside the US embassy in Ankara on Friday, local television reported, amid speculation it was a suicide attack. 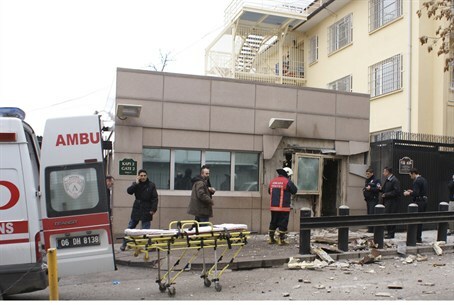 The force of the explosion damaged nearby buildings in the Cankaya neighborhood where many other state institutions and embassies are also located. NTV said two security guards were killed and several people wounded. US embassy staff were not immediately reachable for comment. Predominantly Muslim Turkey is a close US ally and a member of the North Atlantic Treaty Organization.